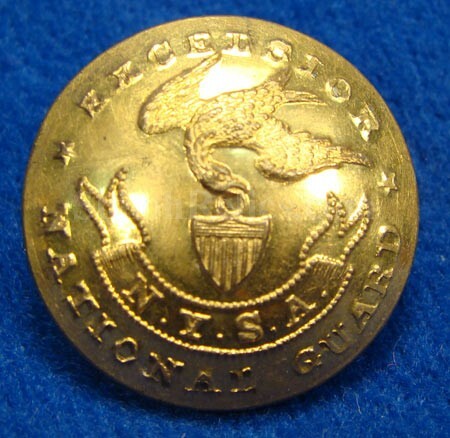 This is the 1-piece button that was used by the artillery of the state of New York. It is the pattern listed as NY19 in Albert’s button book and as NY209c12in Tice’s button book. The face of the button has a beautiful flying eagle with a shield coming from her beak. Above her it has the "EXCELSIOR” motto and around the bottom it has "NATIONAL GUARD”. The ribbon below the shield has the "N.Y.S.A.” for New York State Artillery. It has the original shank present as you see in the picture. 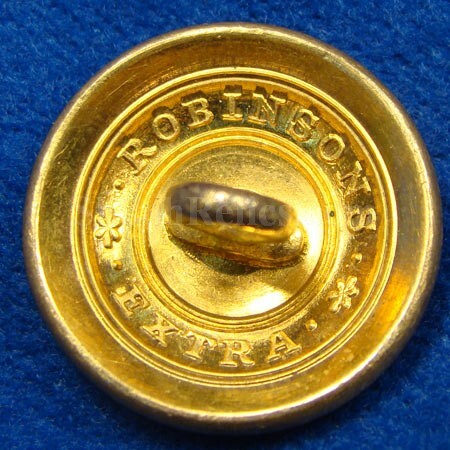 The maker mark is from the famous firm of Robinson & and reads "ROBINSONS* EXTRA *" in a raised mark between two pairs of rings. This is a very nice displaying non-excavated 1-piece coat button.